The great thing about Phoenix is it will almost never rain on your parade... or literally any other outdoor activity. 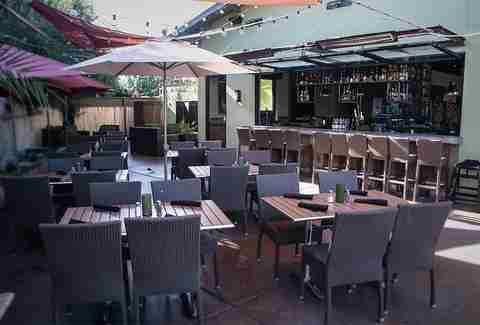 So, if you can stand 100-degree weather and the occasional light haboob-ing, every day is a patio day, which is why we rounded up the best open-air spots for your outdoor dining pleasure. 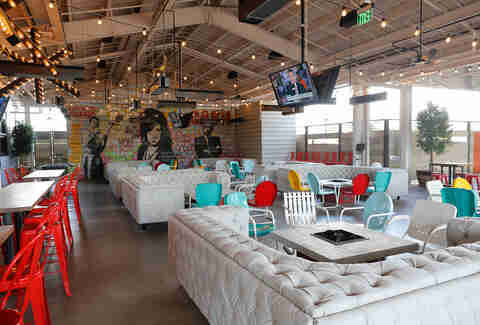 The Yard in Phoenix is home to a few different restaurants, including Culinary Dropout, so you can always enjoy the same great patio -- even if you decide to taste something new. The large patio has space to play bocce ball and ping-pong, which makes for a great place to socialize long after you finish your meal. Eating inside shouldn’t even be an option with a patio as beautiful as House of Tricks’. The outdoor space offers a European-like atmosphere that’s nearly as authentic as its French food. 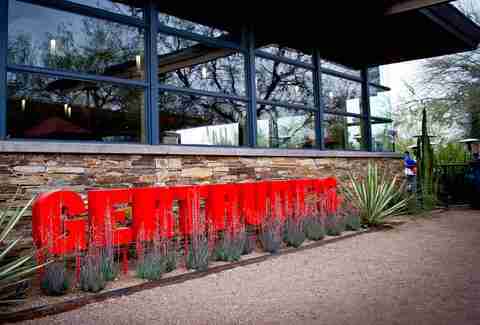 For a patio that puts you right at the center of the landscape that makes Arizona so beautiful, try Gertrude’s, which is housed within the beautiful Desert Botanical Garden. 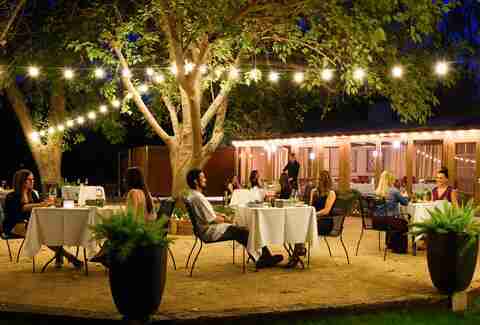 For an upscale experience at one of Arizona’s most beautiful outdoor spaces, Quiessence at the Farm is your spot. 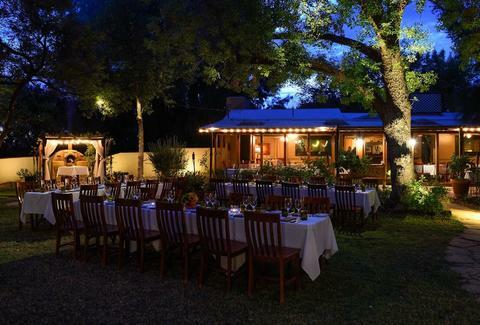 The best part is, the restaurant is located on an actual 10-acre working farm, which makes its farm-to-table experience hard to beat. 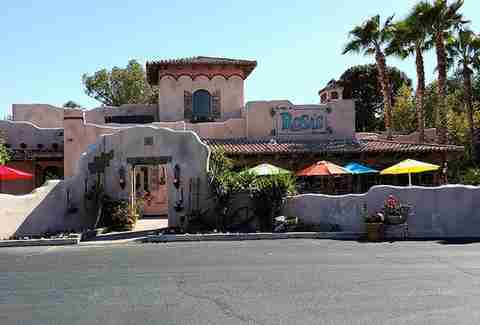 Located practically on Arizona State University’s campus is one of the Valley’s best little patios. The casual campus atmosphere, porch, and especially the giant chess set make for a quirky space you won’t want to leave. Want to witness some of the most spectacular views in the Valley? Head to the Top of the Rock, literally. While you can take in some of the scenery from inside, the experience of sitting outside around one of the giant fire pits while looking out on the city lights is too great to pass up. The Wrigley Mansion, constructed by the gum extraordinaire himself, is a piece of Arizona history. While the views from Geordie’s patio should be enough to bring you in, it’s worth taking advantage of the lunch package, which includes a grand tour of the estate. Kitchen 56 has the kind of patio that makes for a perfect laid-back neighborhood happy hour. The indoor/outdoor bar is one of the space’s best features -- right up there with the water feature, and the fact that it’s dog-friendly.